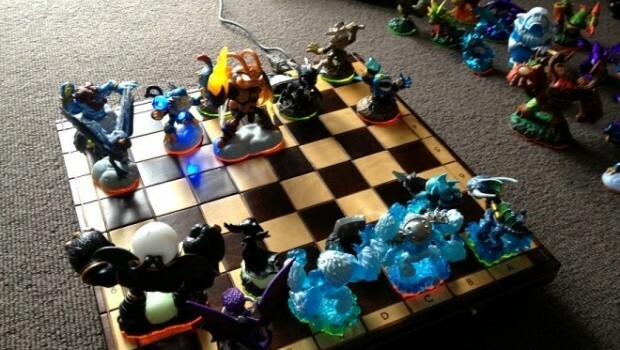 Would you like to play a game of Skylanders Chess? Let’s face it, one day our consoles are going to end up in that giant motherboard in the sky, and the portal of power that comes with the Skylanders games will lose it’s luster, and possibly an outlet to plug into. However, that doesn’t mean that those Skylanders figures are useless once that happens. Some very inventive kids came up with a great idea from the GeekDadGamer at the Wired blog. But as I have written before it is their “ Skylanders Chess” variant that holds their attention the longest. In fact I think we may have played this for longer than the main campaign in Giants .